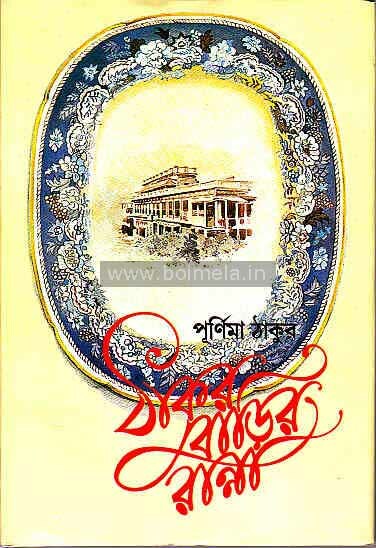 The other day, while rearranging the books in my tiny library, I chanced upon a tiny book titled “Thakur Barir Ranna” (Foods from the Tagore Kitchen) written by Purnima Tagore (daughter of Pramatha Choudhury and Nalini Devi). This year being the 150th birth anniversary of Rabindranath Tagore, anything related to Tagore generates special interest. Hence, after a long time, I started leafing through the book and was pleasantly surprised by the variety of cuisine and recipes listed in the book. In the preface, the author says that these recipes are collected from a recipe book handed down to her by her aunt, Indira Devi Choudhurani. Indira Devi, the favorite niece of Rabindranath Tagore, had never entered a kitchen or cooked on a regular basis. But whenever she liked a dish, she would make it a point to collect the detailed recipe from the cook and note it down in her book. Purnima Tagore has also included some of her own recipes in the book. Hence, it is not that all the recipes were from Jorsanko Thakurbari, but of course they are from the Tagore kitchens in general. The book has been divided in multiple sections like vegetarian dishes, fish dishes, eggs, meat, desserts, and pickles. It’s not that the recipes are exciting but the book is a good read too. The book has no pictures but when you read through the pages you’ll clearly visualize the colorful and flavorful dishes in your minds eye. I picked some of the unusual recipes to share with you in the same style as written in the book. Fish Stir-fry (Maach Chachchari): Fry the fish. You’ll need potatoes and onions. Heat oil to fry onions and then add the potatoes. When the potatoes turn brown, add turmeric and red chili paste. Add salt and green chili. You may add tomatoes if you’d like. After frying the spices, add water and cover. Add fish to the boiling sauce. Cook till the gravy thickens. Mourala Fish (Anchovies?) Sour (Mourala Maacher Ambal) : Fry the fish in oil, then add turmeric. Add green tamarind puree. Add sugar and salte to taste and cook till the sauce thickens. Ripe tamarind puree can also be used. Egg Chao Chao: Eggs – 4; Onions – 6; Dry red chili whole – 4; Garlic – 4 cloves; A pinch of turmeric, little cumin seeds (jeera), salt and clarified butter (ghee). Make a paste of red chilies, garlic, turmeric, and cumin. Slice the onions into fine shred. Heat ghee on a pan and fry the onions. Add the spice paste and fry well. Break the eggs and mix it into spices. Cook in low heat. When the egg cooks and turn reddish, add a little water and salt. When the water dries off, the dish is done. Keema Dahi Vada (Fried meat balls in yogurt): Mix minced meat (lamb or goat), boiled potatoes, minced green chilies, onions, and salt. Add eggs and some garam masala and make a dough. If the dough is too soft, add bread to the mix. Make small balls and fry. Beat yogurt with a pinch of salt. Add roasted red chili and cumin powder to the yogurt and blend. Add the fried meat balls to the yogurt. Garnish with good quality ghee (clarified butter). The list is quite long and I don’t want to rob off your fun in reading the book. But one disclaimer I should add is that I have not tried any of the recipes myself. The book also reminded me that few months ago a friend of mine brought to my attention of a culinary extravaganza that was tried out in Kolkata at the Sobhabazar Rajbari. The event (which lasted from June 4 to 10, 2009) was titled “Thakurbarir Khaoa Daoa”. It was not only a culinary experience, but it also included a fascinating performance by actors, musicians, artistes who transported their guests about hundred fifty years ago to the Thakur Bari in Jorasanko.” With musicians singing Tappa, Rabindrasangeet or Khayals and Thumris, and even piano recitals, pankhawala’s pulling the pankha, the guests were seated in the long corridors and was served with food that included no less than 34 items. Drinks included different varieties of sherbets including Neem, fish dishes like Choi-koi, Dwarakanath Pulao, Kochu Saag, Bhapa Chingri, Lauyer Paesh and English pudding. The event was sponsored by Bharath University and the guest included celebrity intellectuals like Sankho Ghosh, Nabanita Debsen, Jogen Chaudhury, Usha Uthup and many others. There was a proposal from the sponsors last year to bring the event to the 2010 Banga Sammelan (NABC) held in New Jersey but the organizers declined. Maybe the 2011 NABC organizers would like to consider this as a special attraction, especially in the year of the 150th birthday celebration of Rabindranath Tagore. 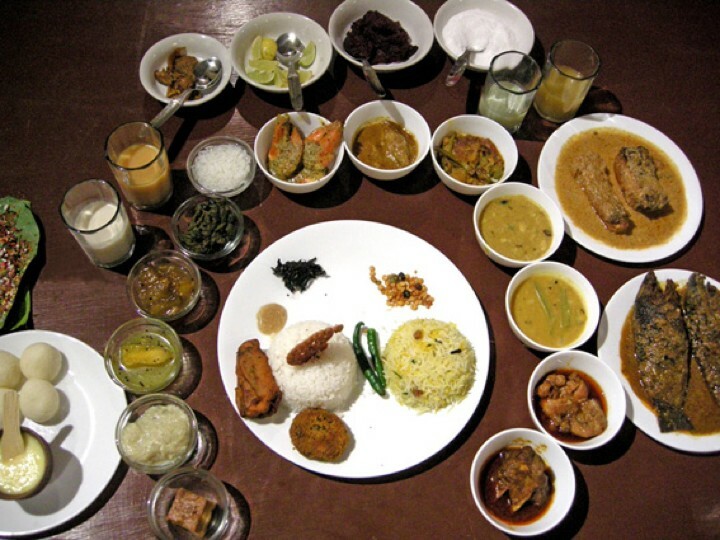 I would love to have an insight of the culinary spread of Rabindranath Tagore’s house on different occasions. Please provide me more information. To know Bengal you need to know the food and culture.